Soba noodles is a stable in my kitchen, however it’s not often that I eat them. I save them for the special occasions where I need my fair share of comfort food, or if I need to treat myself, or if I know I need fuel for the day after. I find them a bit hard to boil without them smudging together but this time I’ve added a tablespoon of olive oil and it did the trick. Enough with the noodles, let’s move on to the most fabulous sauce that raises this dish to the comfort food level! It’s finger licking good – it’s so good that I want to eat it before applying it to the sautéed veggies. As in, eat it by spoon, all alone. Hello new guilty pleasure! Prepare and boil the soba noodles as per instructions on the package. Make sure to thinly slice and shred the red cabbage and cut the broccoli in small mouth sized bites. Blend all ingredients for the sauce to a thick even light brown sauce. Melt the coconut oil in a pan and add the red cabbage. Fry for 4 minutes. Add the broccoli and cook for another 4 minutes. 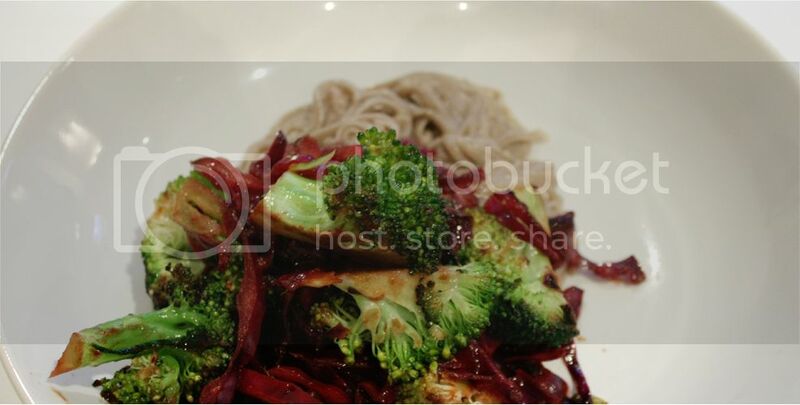 Pour the sauce over the cabbage and broccoli and cook for 2-3 minutes. Add a teaspoon of sea salt and stir thoroughly. 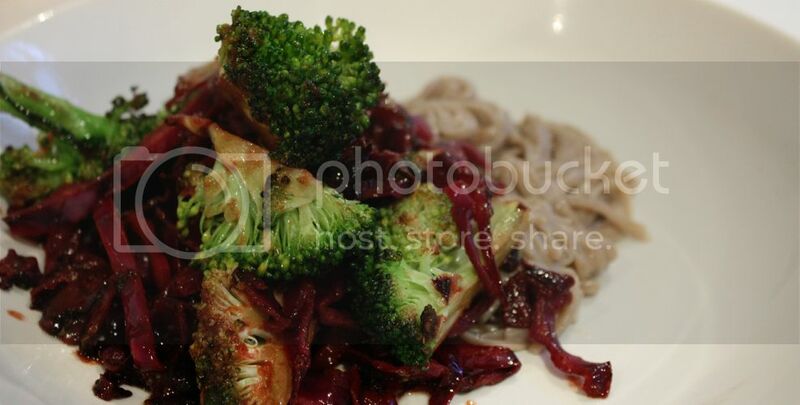 Place the noodles on two plates and divide the broccoli and cabbage mix in two, pouring it over the noodles.